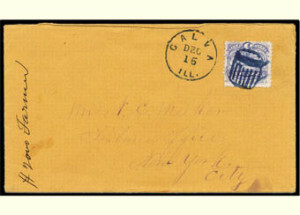 A striking impression of the scarce Galva, Illinois beer mug cancel in blue. 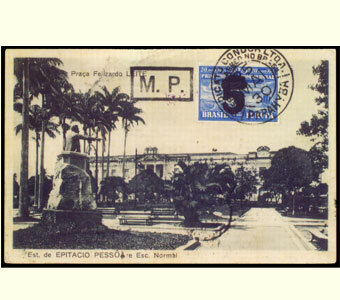 At Parahyba, Brazil, in May 1930, the supply of 5000r zeppelin stamps had been exhausted. 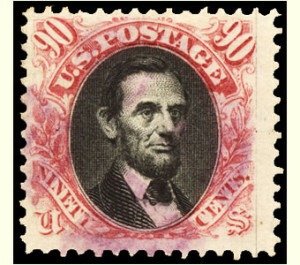 The local post office authorized the overprinting of thirteen of the 20,000r stamps on hand. only nine examples are known to have survived, and only five were used on zeppelin mail. One of the great rarities of aerophilately. 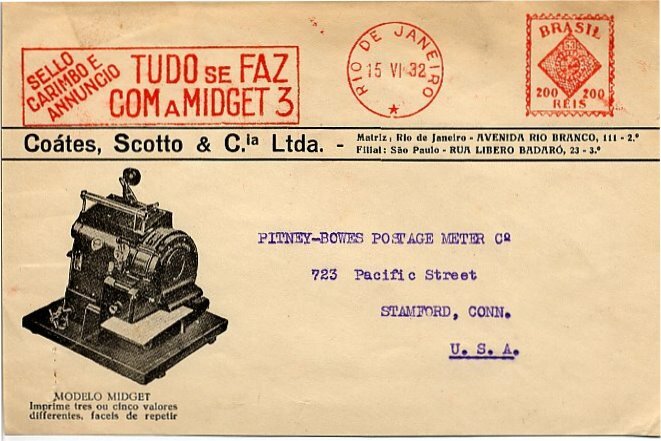 An early machine pictured on a 1932 envelope from Brazil addressed to Pitney Bowes.